The best state to retire in may not be Florida or Arizona, the most popular choices for most people when they think of retirement...read on. Personally, I was not born in Arizona but got here as fast as I could. But I totally understand that are so many other factors to consider besides wearing shorts in December. Family concerns are very important to many people...they need that Grandchild fix...and that certainly is important. We do not have children...except for me of course, and I am not growing up...my wife always says that I am enough to cure her of wanting kids. Criteria for choosing the best state to retire in. Let's take a look at some of the various criteria that may be of important to you. So whether your 401(k) is huge...or your retirement annuity is small...my purpose for this site is to show you how to think of ways for cheap living and that can expand the your list of the best states to retire in. Financial planners will tell you that you must have so much money for you to be able to retire...that is just not true. If you have not exhausted all retirement options you will never know whether or not you can retire. 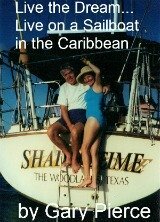 Here are some lifestyles that we have personally experienced, living aboard a sailboat , living in an RV , living overseas , park model living , and downsizing if you consider these options for frugal retirement living I guarantee you will have more options on where to retire ,than you thought you had. We will limit our comments to states where we have lived at least one month or more. 8 of the 10 below we have lived in more than a year...that may or may not qualify us as experts, but this will also not be advice you could get out a tour book. These are listed in no particular order, we enjoyed them all, and know you will too. If it's none of the above try Mexico. Over the next few weeks we will be examining each state (or territory) in more detail. We will cover the tax situation for each state. Give you key contact information you will need to help with your quest to find the best state to retire in. Discuss the pros and cons of each location. We may add other states later but we want to first concentrate on the states we are most familiar with. Be careful here...do not get tax bound. Climate...what are you looking for? Warm winters are found in Florida (the further south, like the Keys the better), Arizona, southern California, the USVI and southern Texas. You want warmth any of these would be the best state to retire in, the Virgin Islands being the warmest. I saw one heavy coat in St Croix...the guy stocking the freezer room at the grocery warehouse. Arizona and California are dryer with less humidity, but for the warmest winter temperatures south Florida is going to be hard to beat. We have lived in Florida (Jacksonville) for 2 years, Houston for 20 years and Phoenix for 8 years. Here is our take on the 3, climate wise. All are warm, hence they are very popular choices for frugal retirement living. All three are good choices for the best state to retire in. Florida and Texas have very high humidity and lots of insects, you won't spend a lot of time eating outside in either place unless you have screened area or "Florida room". In Phoenix you can eat outside with no bugs, low humidity at least half the year. If outdoor dining is your thing Arizona may be the best state to retire in. Here's how to enjoy Arizona cheaply. 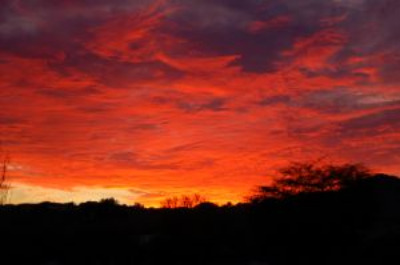 The sun shines over 330 days a year in Phoenix, with very little rain. You never have to worry about hurricanes in Phoenix, a problem during the summer in Houston or Florida. My second cousin lives in Orlando and boards up the outside of his house for storms, he has plywood cut for each window with screw holes pre drilled. It takes him about 30 minutes to put up and take down, he has had a lot of practice putting them up and down in the last few years...not the end of the world but something to consider. One thing you may not know about Arizona, is that it is not all desert. Phoenix and Tucson are pretty flat but surrounded by mountains. Flagstaff, 2 hours from Phoenix has skiing in the winter. It snowed yesterday, April 17 in Flag and was 80 in Phoenix...that is not unusual. Flagstaff's elevation is 6900 feet, Where we sit in the Phoenix area is 1200 feet. Prescott an hour plus drive is 5300 feet. Point being Arizona is not all flat desert it is very mountainous. Don't judge the whole state by Interstate 10 which is pretty flat...and pretty boring IMHO. Let's give a slight edge to Florida...OK a big edge. My favorite Florida beaches are in the Panhandle, Destin, Fort Walton Beach. If you want beaches in Arizona you can drive 6 hours to San Diego. Mexico has beaches in Rocky Point Or Puerto Penasco about 4.5 hours from the Phoenix area. Texas has some nice beaches in South Padre Island. But Florida gets a big thumbs up on beaches and the water, it's everywhere. If beaches and water are your thing Florida is the best state to retire in. Being former sailboat dwellers we would've given Florida a much harder look if we still had our boat. We hope our experiences in each state will be of interest to you...the best state to retire in will not be the same for everyone...we have done the mundane things, laundry, bank, post office in each of these states. Do not base your decision on where to go unless you have done these things...there can be a big difference in how a place feels on vacation and how it feels actually living there. Go slow and enjoy the process.